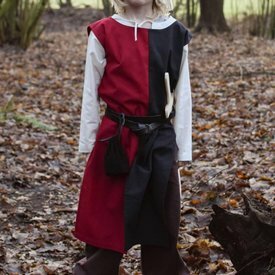 This children's surcoat is perfect for every boy or girl who wants to dress up as a knight for LARP, re-enactment or a festival. Originally the surcoats were developed in the first crusade, where the knights were exposed to the enormous heat and dust for a long time. 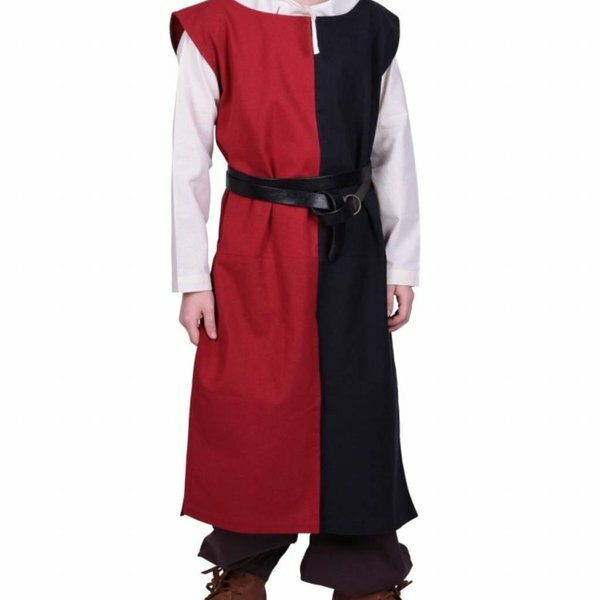 The surcoat caused the metal not to become particularly hot. 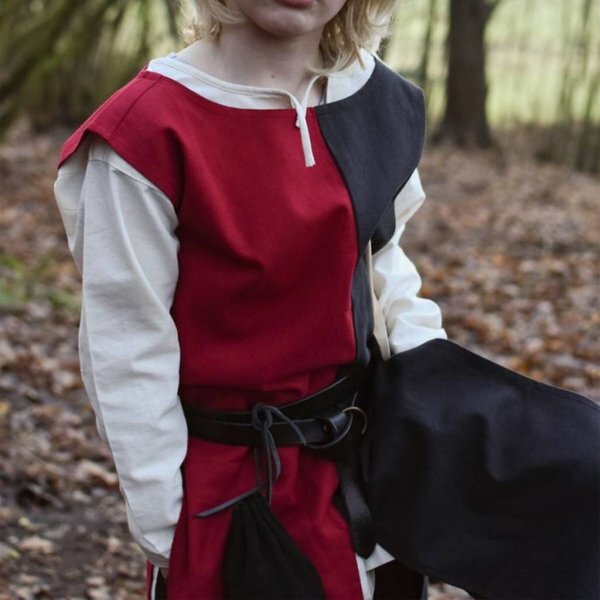 Later these surcoats were used throughout Europe and symbolized the identity of the knight and knighthood. The surcoat was also used in the battle to indicate different parties and families. 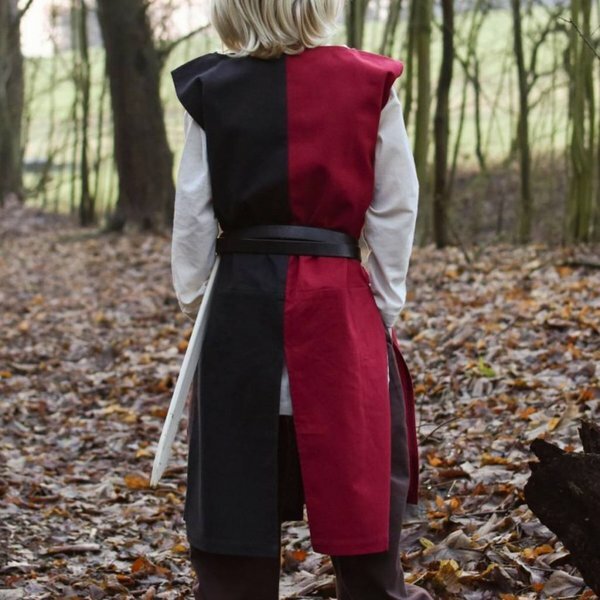 This surcoat has a mi-parti pattern. 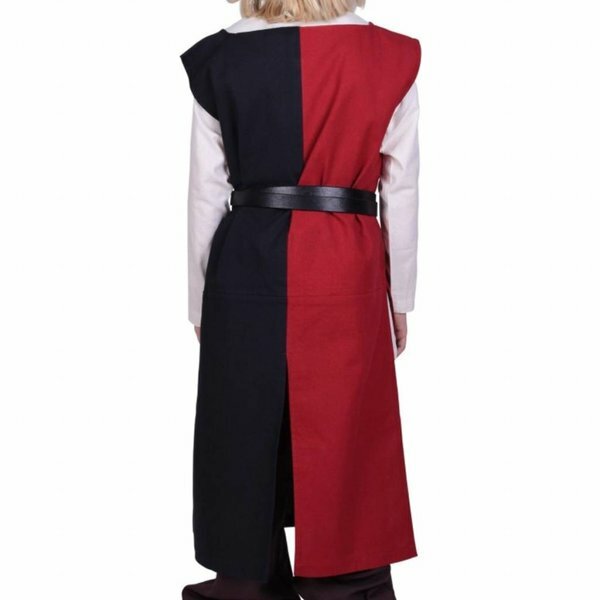 It is made of sturdy cotton, falls straight and has splits on the side from the waist for wearing comfort. It can be combined with a belt.